Another year is winding down, and that almost always puts me in a somber mood. Unlike the revelers who’ll be tooting their noisemakers in Times Square three days from now, I have always thought of New Year’s Eve as a time for reflection, a time to evaluate the past twelve months and take stock of the course of my life. One of my favorite quotations in my commonplace book comes from the ancient Roman author Seneca the Younger (4 B.C. – 65 A.D.). A philosopher, statesman, and playwright, Lucius Annaeus Seneca was one of Rome’s leading intellectuals during the first century after the birth of Christ. He was also as pagan as they come. At its best, to quote historian David Harlan, the study of history invites us to join a “conversation with the dead about what we should value and how we should live.” From across the centuries, the pagan Roman admonishes us: “It is not that we have a short span of time, but that we waste much of it. . . . The life we receive is not short, but we make it so.” Not a bad reminder for 2018. This entry was posted in From my Commonplace Book and tagged Bible, Christianity, Seneca the Younger, shortness of life, time, wisdom. Bookmark the permalink. As a new subscriber to your blog, I want to thank you for the time and effort that you invest into this blog. As Jack Scott commented – this is thought-provoking. It’s a great thought as we enter 2018. Peace. Thanks for both good suggestions, Jack. May God bless you in 2018! Thanks for another thought provoking blog. 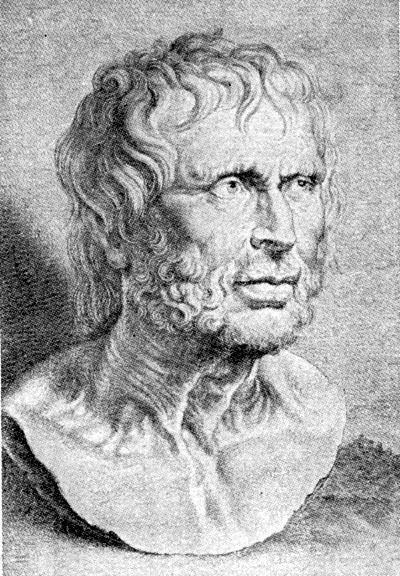 Of course, while Seneca was a pagan, he was hardly godless. No doubt he worshipped a number of gods as was typical of his era. I have been trying to continue to communicate with the past through two books: 1) Stephen Ambrose’s “To America” where he reviews the insights and mistakes that he has made in teaching American history – very enlightening, and 2) Condileezza Rice’s “Democracy” where she discusses the successes and failures of democracy in nations such as America, Russia, Poland, etc. I highly recommend both of these books as one way to have a conversation with the past.